An intimate soulful performance from an acoustic guitar sensation. Winner of three New Zealand Music awards, Paul Ubana Jones, was born in London to a Yorkshire mother and a Nigerian father, and was playing guitar by the age of 11. Three decades and nine albums later, he continues to perform throughout NZ, Australia, Europe and the USA. Paul has shared the stage and toured with the best: BB King, Bob Dylan, Taj Mahal, Norah Jones, Keb Mo, Crowded House, Tuck and Patti... 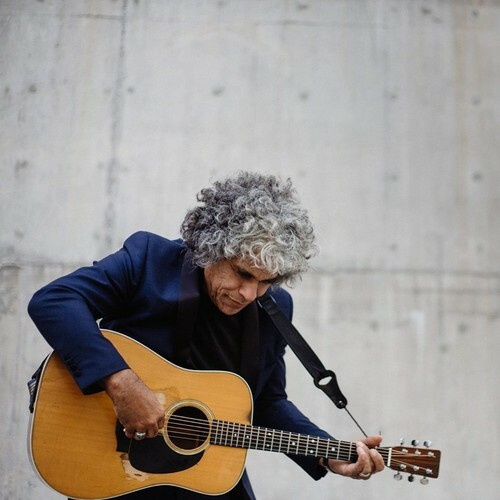 He has delighted Festival audiences at the Dublin Blues Festival, Byron Bay Blues Festival, Vancouver Island Folk Festival, Blues at Bridgetown, and many others across Europe. Time: Bar & Box Office opens 7pm.